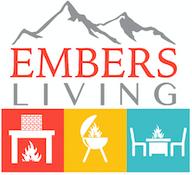 At Embers Living, we carry a variety of fireplaces and fireplace brands for our customers to choose from. One of the brands we carry is Superior, with fireplaces for both indoor and outdoor settings. We have Superior gas fireplaces, wood-burning fireplaces, and electric fireplaces in a variety of styles and designs featuring high quality equipment with advanced technologies. Browse through our wide selection of Superior fireplaces and you are sure to find one that fits with the aesthetic of your home.